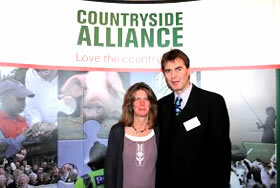 We have recently won the “Midlands butchers of the year award 2011” as voted for by The Countryside Alliance. London was the venue for the awards ceremony and we were presented with the award by no other than Clarissa Dickson Wright. There was a huge turnout of “best businesses” from all over the UK and we were extremely proud and honoured to receive this award and the recognition for all our hard work. 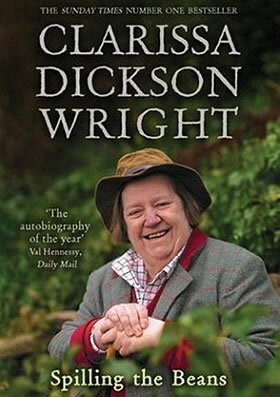 Congratulations also to the staff of Pete the Meat. 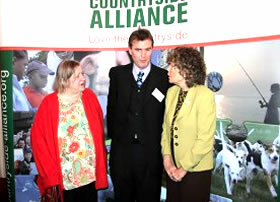 Here’s what the Countryside Alliance had to say regarding the award won by Pete the Meat - CLICK HERE. 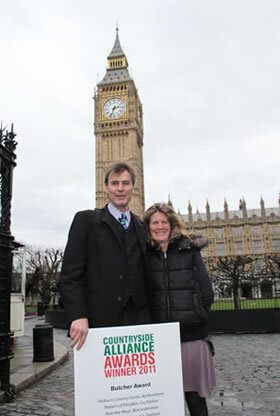 Here is my wife and I in London collecting the award.